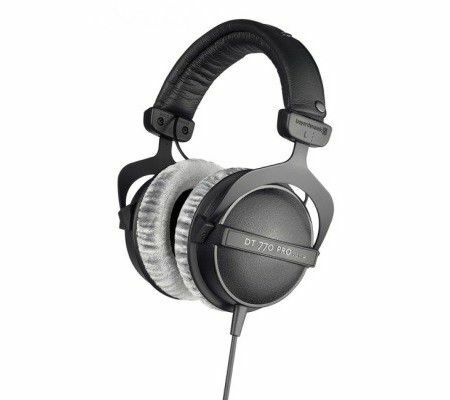 DT 770 Pro 32 Ohms, Studio headphone from Beyerdynamic in the DT 770 Pro series. 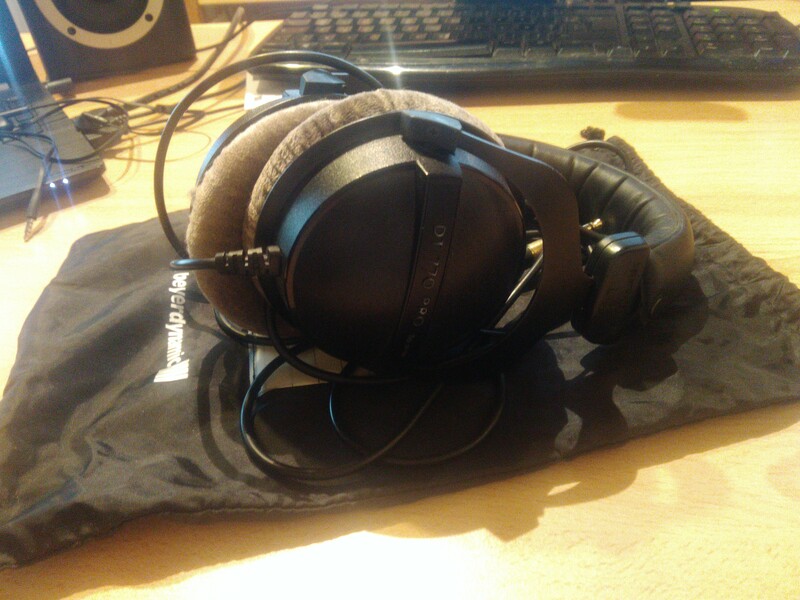 stompboxjon's review"I have 3 pairs"
The Beyerdynamic DT 770 PRO is a pair of closed circumaural headphones that are designed to be used in the studio to mix music with. The first thing that I noticed with the DT 770 PRO is how comfortable they are, I have had these on my head for over 5 hours straight before and couldn’t even tell they were on my head at all. They can be easily adjusted to fit your head size and the ear cup cushioning is very soft and feels nice around your ears. The cost of these headphones is spot on with the quality they provide. 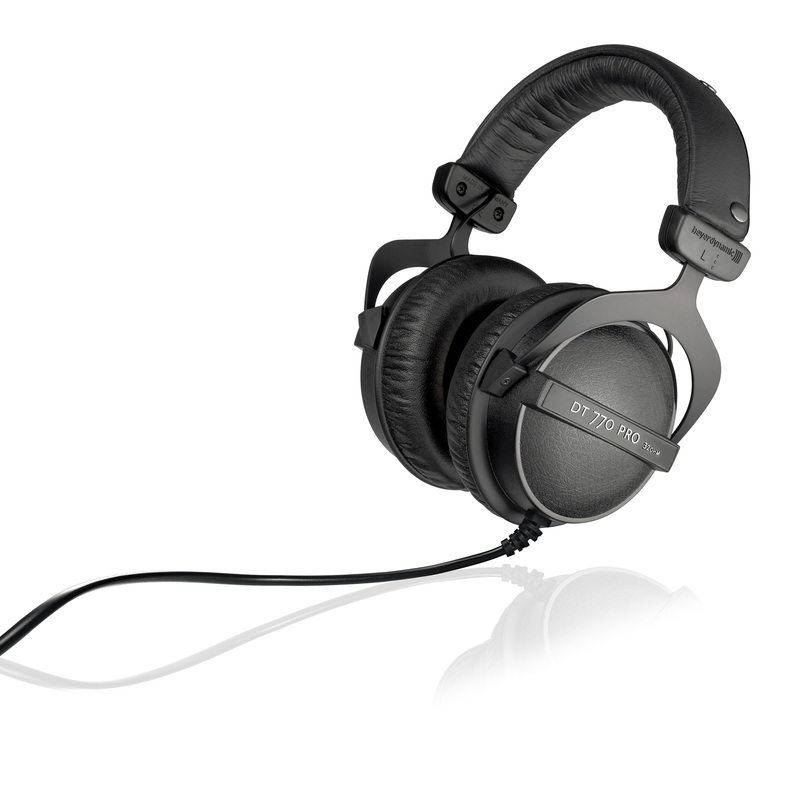 I would choose these headphones over any other headphone monitors in this price range any day. The DT 770 PRO has a single sided cable so you don’t have to worry about having two cables running down (but sometimes that can get awkward depending on how you are sitting because you will notice one side is pulling down or a little heavier than the other size is). The bass in the DT 770 PRO is amazing; it is really clean with no distortion. I was so happy when I heard some of our music in these headphones because I realized this is exactly how I wanted our listeners to hear our music. The mids fill out and sit well in the DT 770 PRO and the highs are clean and sharp but not to piercing on the ear. The frequency response is 5 Hz to 35 kHz and the impedance is 250 ohms. The cable that comes with the DT 770 PRO can be stretched out to about 10 feet long which is a great length for studio use. The DT 770 PRO do not come with a case or a soft pouch for them though, I just use a different pouch with them from a cheaper pair of headphones. I have been using these for 4 years now and I will never get rid of them. I just actually bought my 3rd pair this past April. James...'s review"3 years of abuse and still going"
I use these things everywhere. In the studio, in the airplane, on the stage, on the go. Everywhere. 3 years ago I was in the market for a really nice pair of reference headphones that wouldn't break the bank. I read tons of reviews. Spent over a month finding the perfect pair. I finally settled on these. They sound very balanced on most everything. The comfort is bar none. 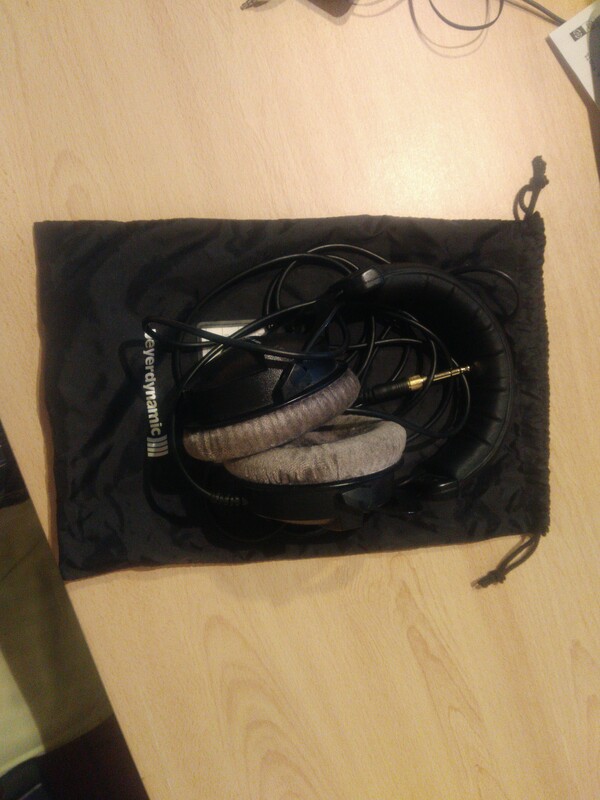 I use them for checking mixes, casual listening, and monitoring in all situations. Clarity is great as well as bass response. Sound cancelling as well is good. They fare better at cancelling ambient noise though. If someone is yelling at you then they won't be of too much use. If you're in a car or on a plane, they do a good job of filtering that stuff out. 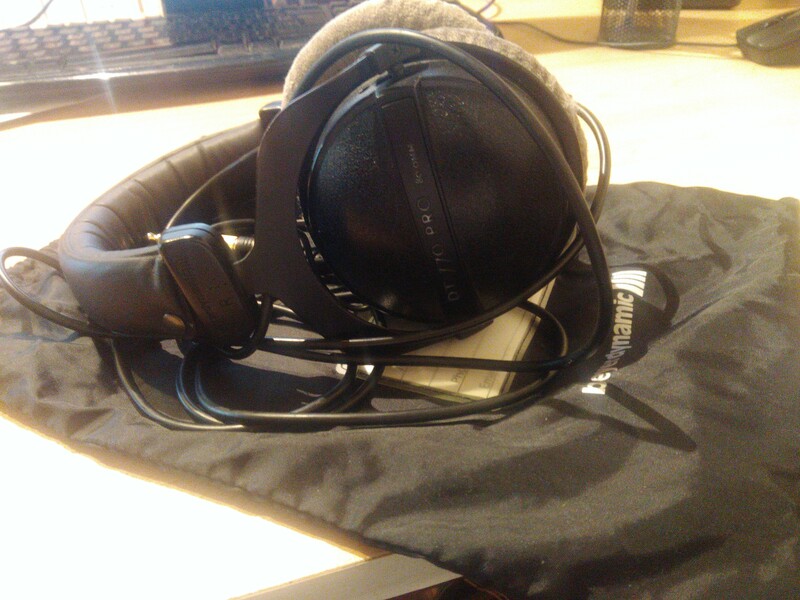 These headphones are 80 ohms so they benefit from an amp of some kind. It's not a must, but it surely helps. I have beat the living daylights out of these. Dropped them at least 50 times. Got them partially wet. The leather on the head padding is still holding on and despite my dirtying up the ear pads to a brownish hue, they remain well intact. I probably use these at least 2 hours a day. The speakers are still holding on fine. I will probably have to replace the padding before I scrap these because they still sound so darn good. At the price point they are a seriously scary value. The precision and quality is amazing. In the sub $300 range they are king. I've tried a lot of the competitors. The DT770 pro is on another level. When they finally kick the can, I'll likely buy another pair. I'm always wanting to try something new but these are so good that i don't think I need to. I've been using them for three months and I've had no problems. The headband seems easily breakable at the hinges of the earcups. I like most of all the comfort: it's an important point if you want to use them several hours straight. The response is not totally linear but it's good enough. I had only used Sony headphones and I was very satisfied with them but I wanted semi-closed headphones for recording so I bought these. I use them for different applications like premixing or CD listening. These headphones are sold at a moderate price and they are much cheaper than high-end hi-fi headphones. To keep it short: these are good headphones. I have been using these headphones for about 1 year now. I went into a music store looking to pick up another pair of Sennheiser HD's, but I saw a pair of these out on demo and took a listen. They sound Great! While you can never really get a true feel for the bass with any headphones, this pair comes a lot closer to the sensation. The whole frequency range seems very even and clear, and doesnt seem to break up at higher volumes. Perhaps the best feature that these headphones offer is the comfort of wearing them. I sometimes have sessions where I have to wear headphones for 8 hours at a time, and every other pair I've used get seriously annoying and give me a headache. But these are so well padded that it's like wearing a pillow - even though your ears are still fully enclosed. There's very little ear fatigue, and you don't get the persistent feeling of pressure on the side of your head that you get with extended use of other headphones. They also provide excellent isolation, so I like to give these to vocalists singing in a booth, since there's going to be very little bleed into the mic. The other benefit is obviously that just using these to listen to music is quite nice, because it cuts the background noise by a lot. It also comes with a 1/4&quot; adapter which allows you to plug in to audio hardware, and a very long cord. The cord is not coiled, which I appreciate, as those tend to get all snagged up. They are somewhat pricey, but definitely worth the money. The only downside that occurs to me is that they are rather bulky - but who cares when they sound this good and they're this comfortable. These are my favorite headphones. 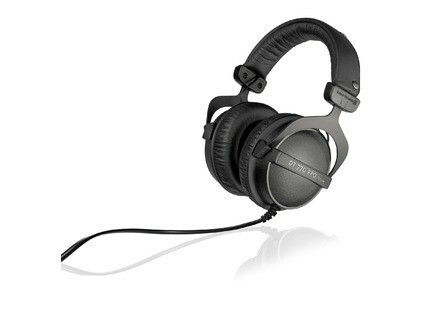 They sound better and are more comfortable than the competitors like Sony and Sennheiser. I would absolutely buy them again, and I plan on getting another pair.